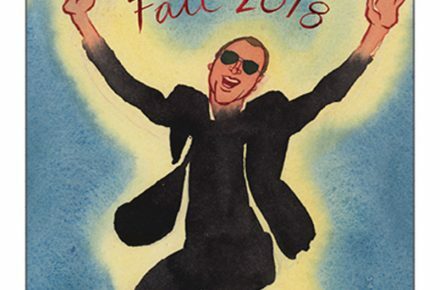 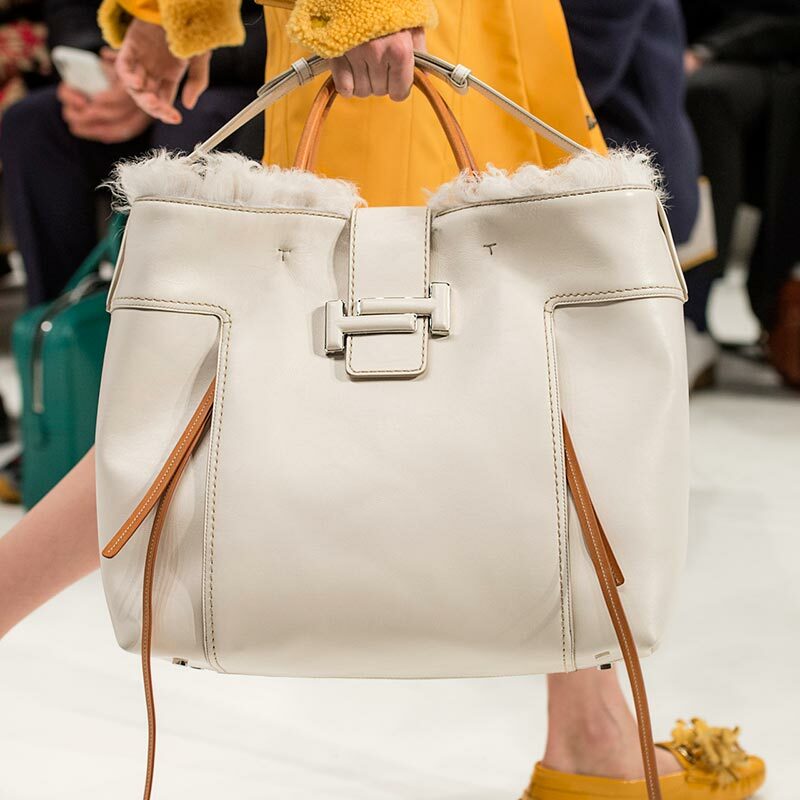 Here’s what to expect in stores from brands like Coach, kate spade new York, and Tod’s this Fall. 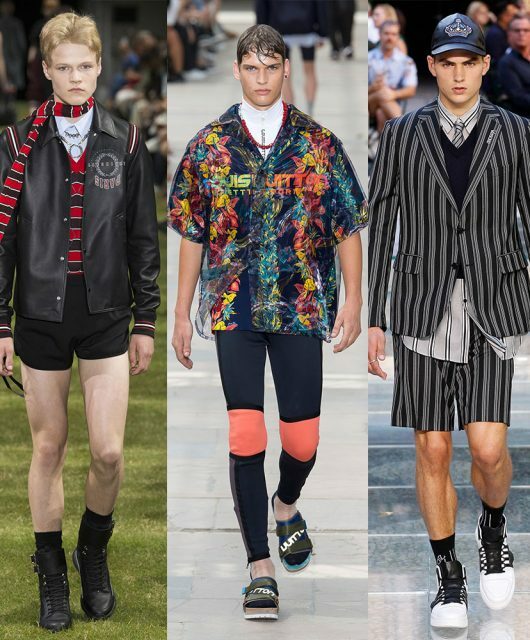 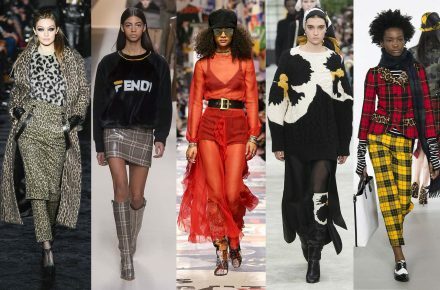 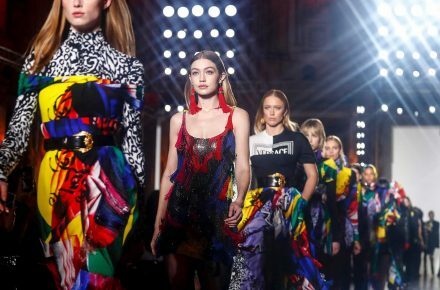 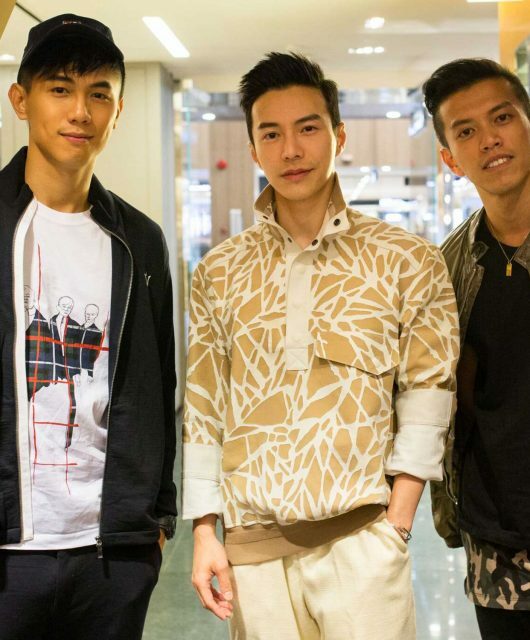 As Fall/Winter 2018 collections begin to roll out in stores over the next few weeks and months, we looked back on some of the trends that ruled the Fashion Week runways earlier this year. 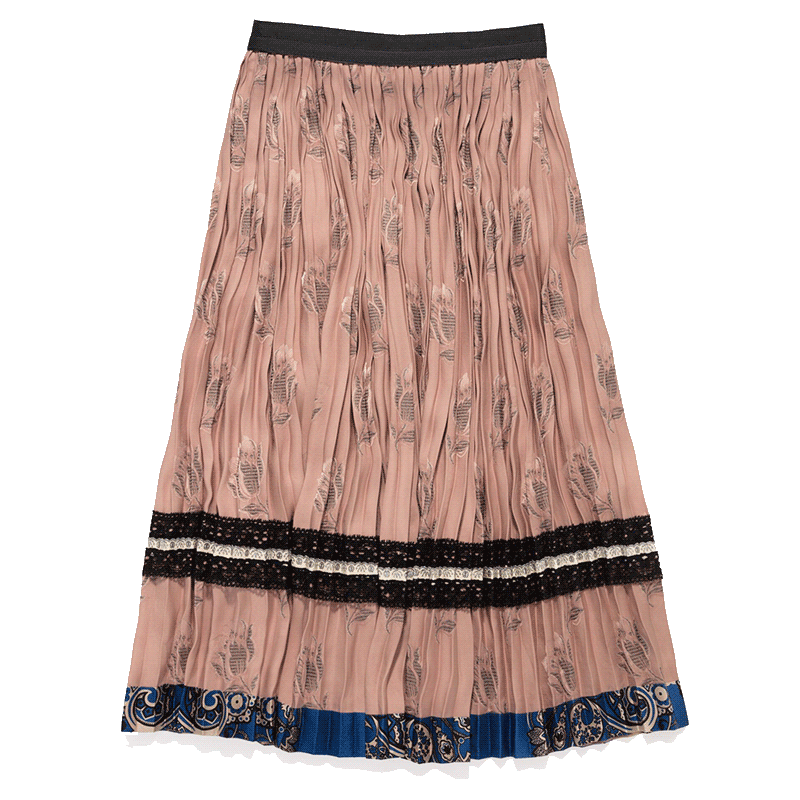 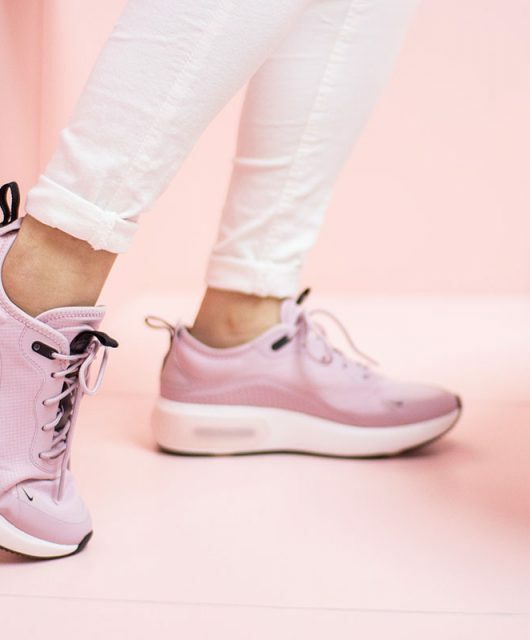 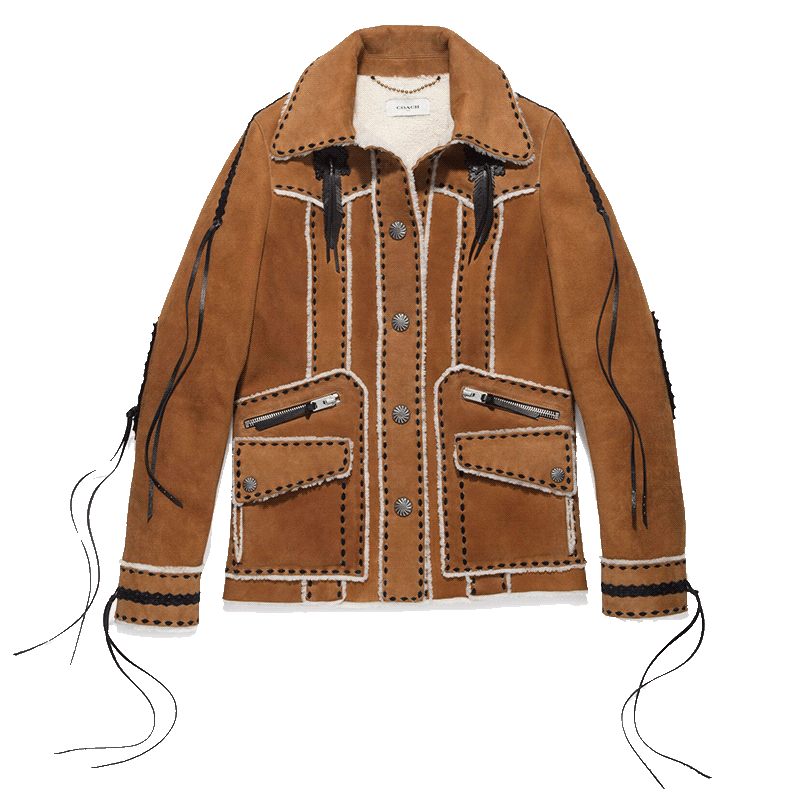 One common style trend we’ve picked up among brands like Coach, kate spade new York, and Tod’s is that sporty chic yet unmistakably feminine flair (keyword: cowgirl) and we’re all for it. 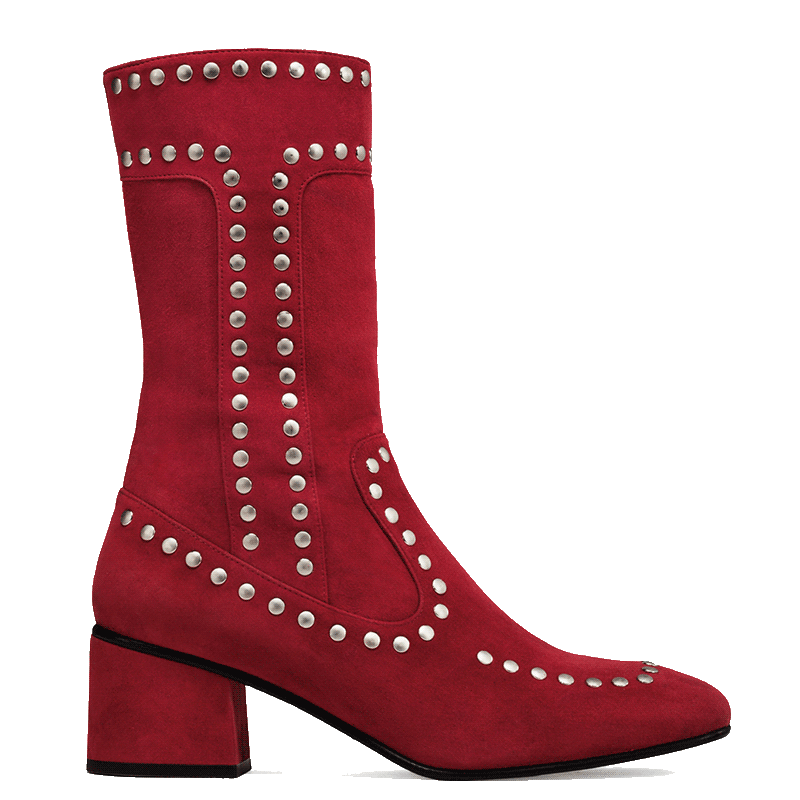 Think a combination of soft and sturdy materials, animal and floral prints, as well as delicate details like lace and embroideries mixed with the rugged touches of studs and tassels. 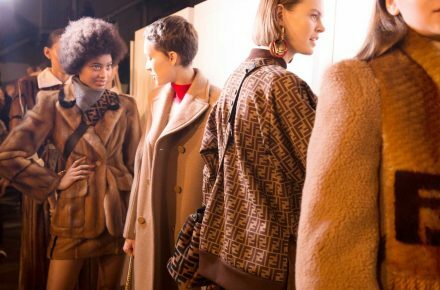 Here’s what to expect in stores from these brands this Fall. 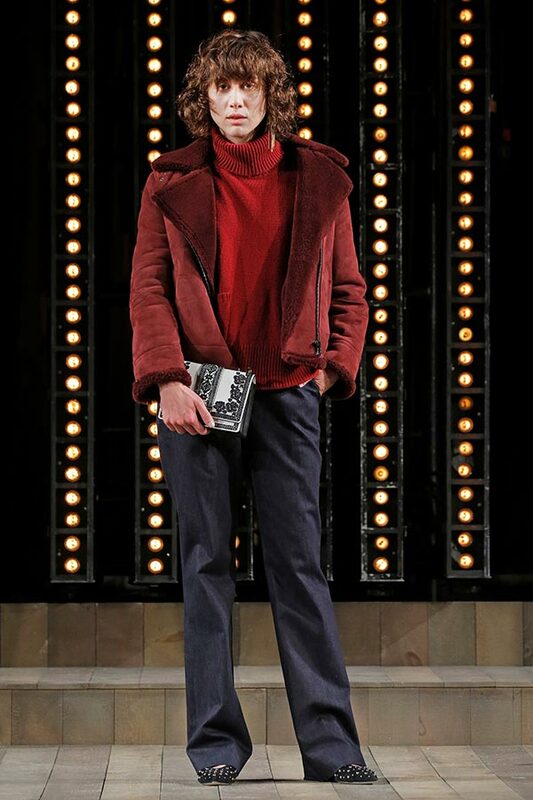 Stuart Vevers went with a twisted, dark romance narrative for his Fall 2018 collection, which explored the tension between New York City and the American Southwest. 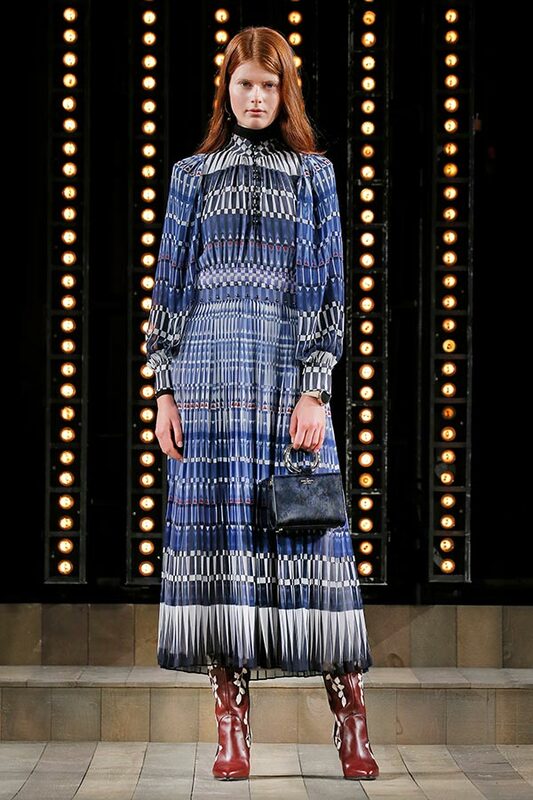 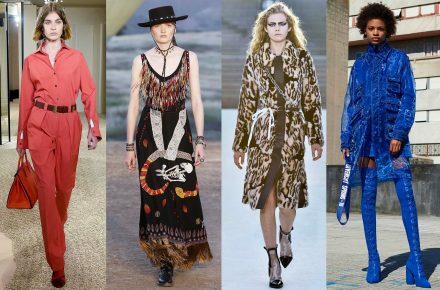 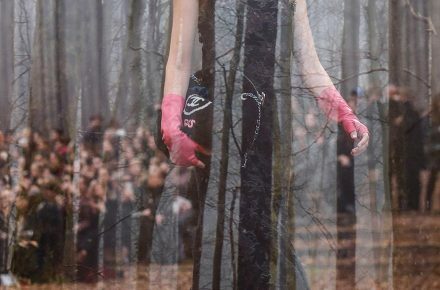 The outcome is akin to a cowgirl turning semi-gothic; maintaining her style of leather jackets and heavy-duty boots while embracing a sombre palette of dresses printed with thorny roses – complete with ultra-black eyeliner. 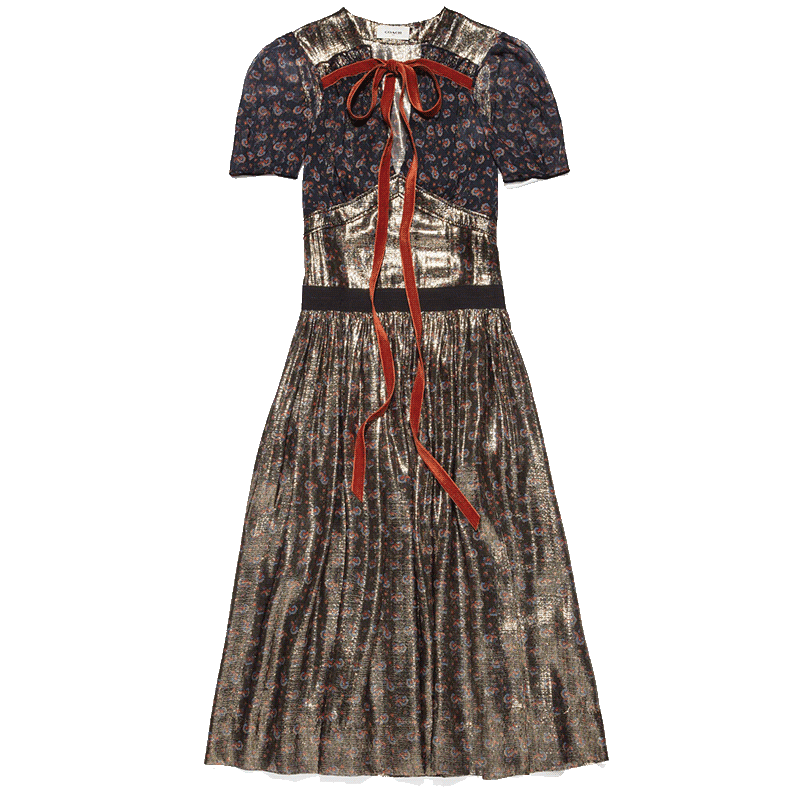 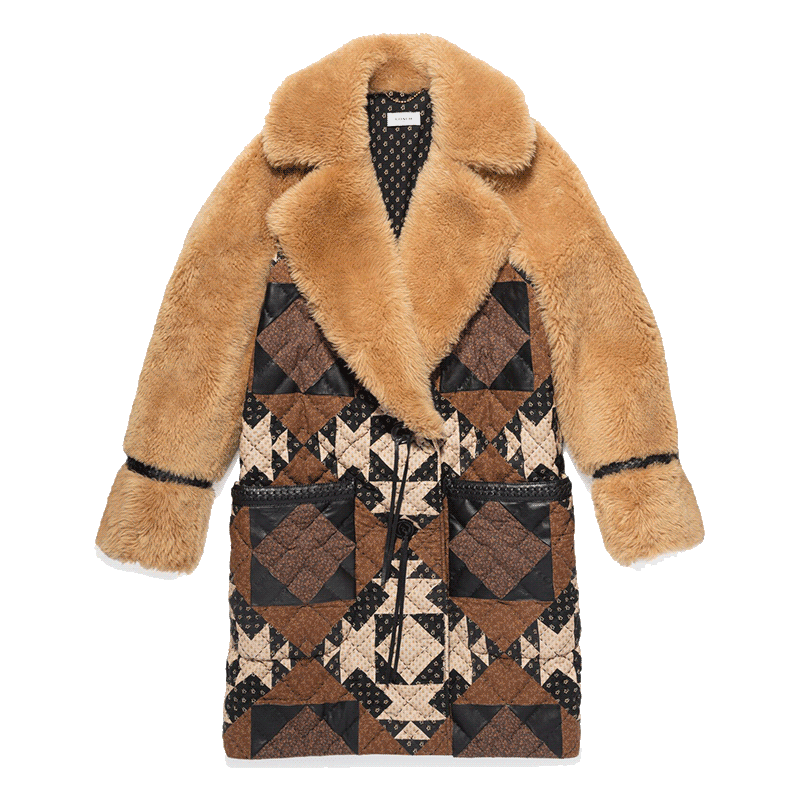 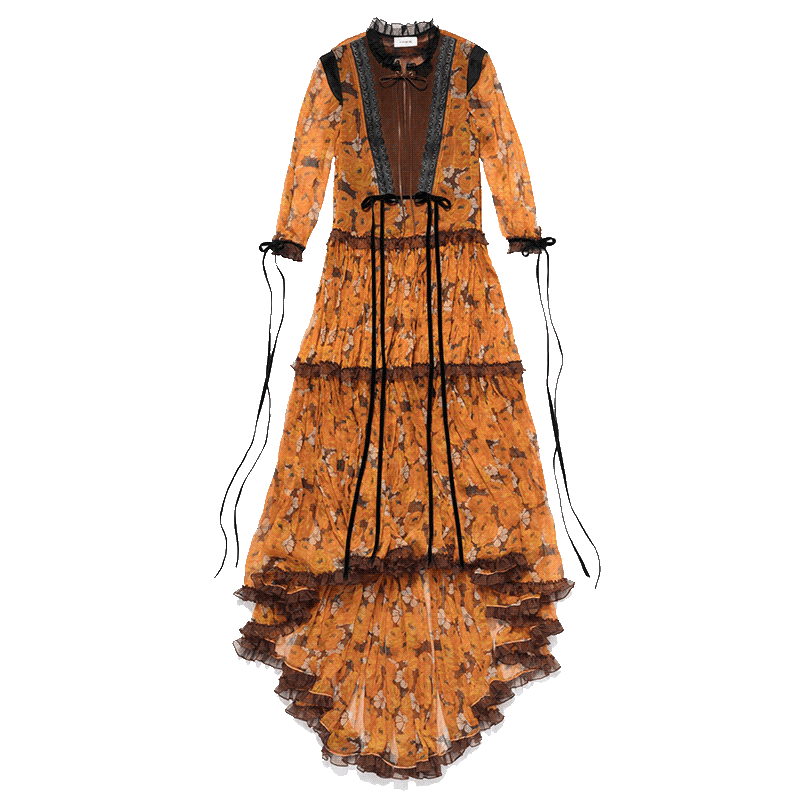 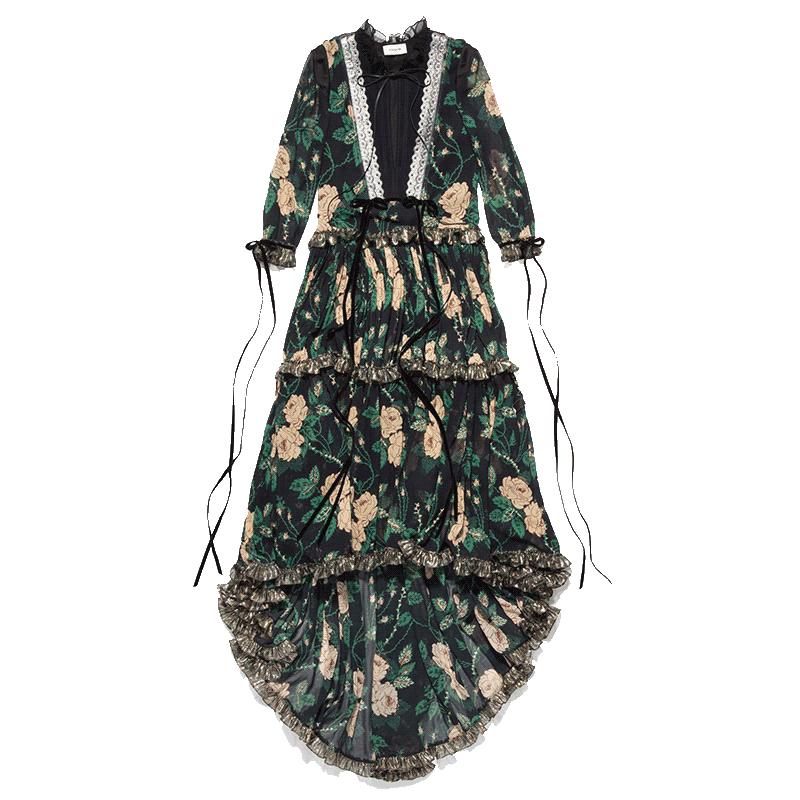 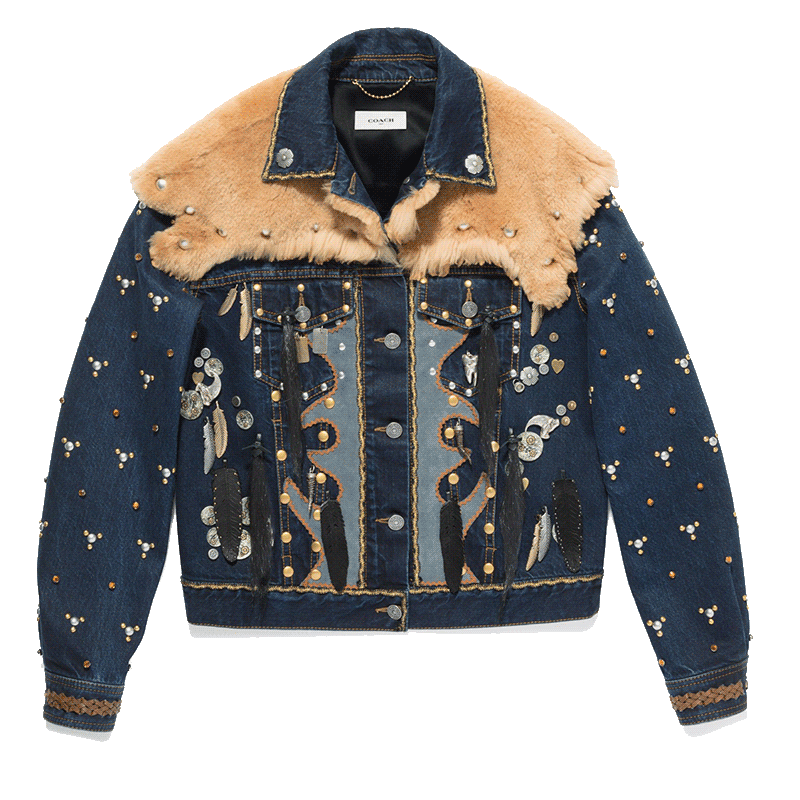 A few standout pieces include an orange rose-printed tier dress, a patchwork shearling coat and a denim jacket embellished with trinkets from a jewellery box. 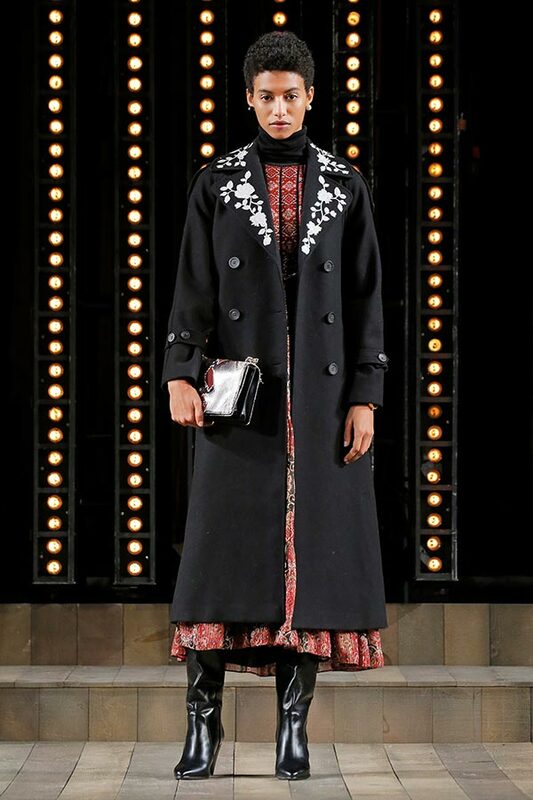 For kate spade’s Fall presentation, the transformation of New York’s Masonic Hall into a country-inspired setting reminiscent of Nashville, Tennessee was allusive to its collection. 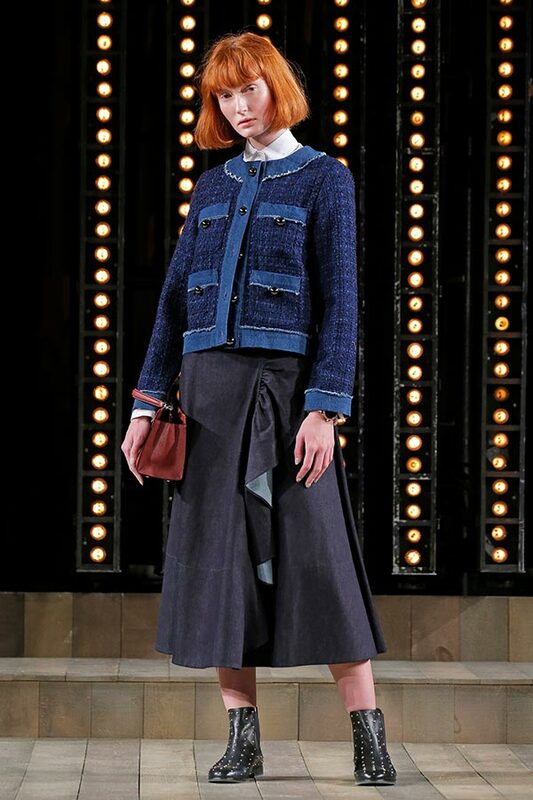 Deborah Lloyd’s final collection for the brand – which celebrates its 25th anniversary this year – saw influences from the countryside and menswear peeking through its typically girly looks. 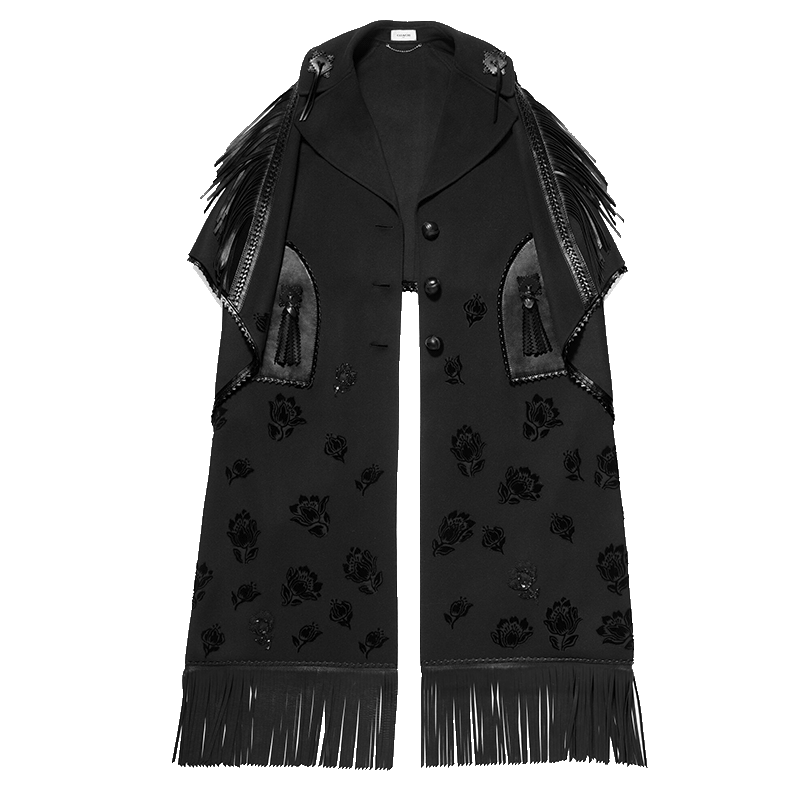 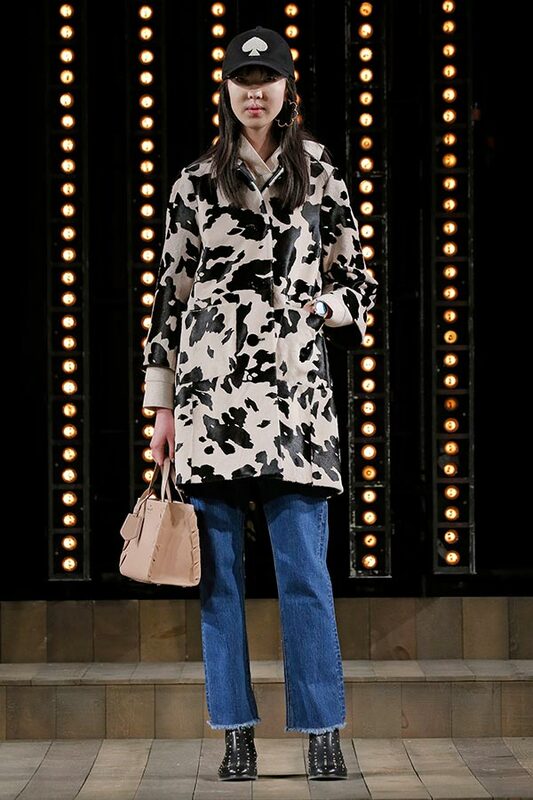 Among the pieces that caught our eye were a tailored coat with floral embroidery, a distressed patchwork denim jacket, a two-toned parka and a turtleneck wool top printed with galloping horses. 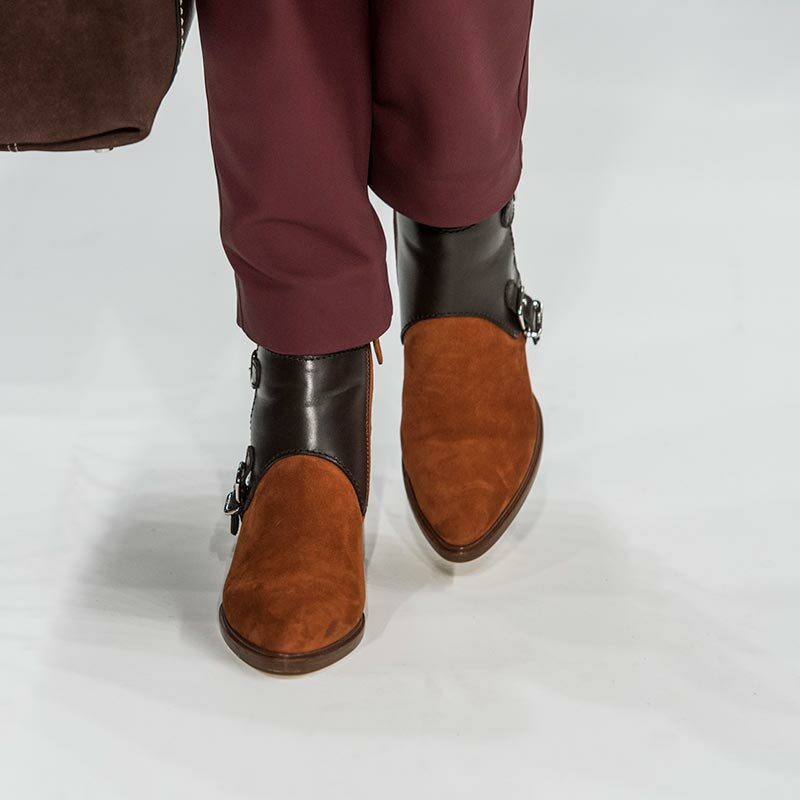 How do you continue to innovate a brand that made its name with shoes and accessories? 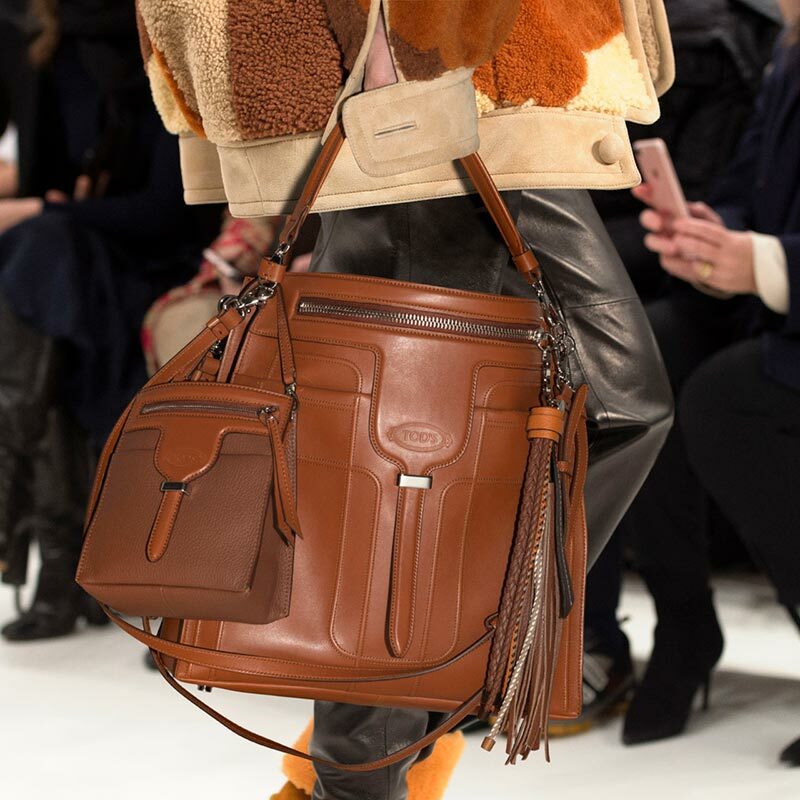 By accessorising the accessories. 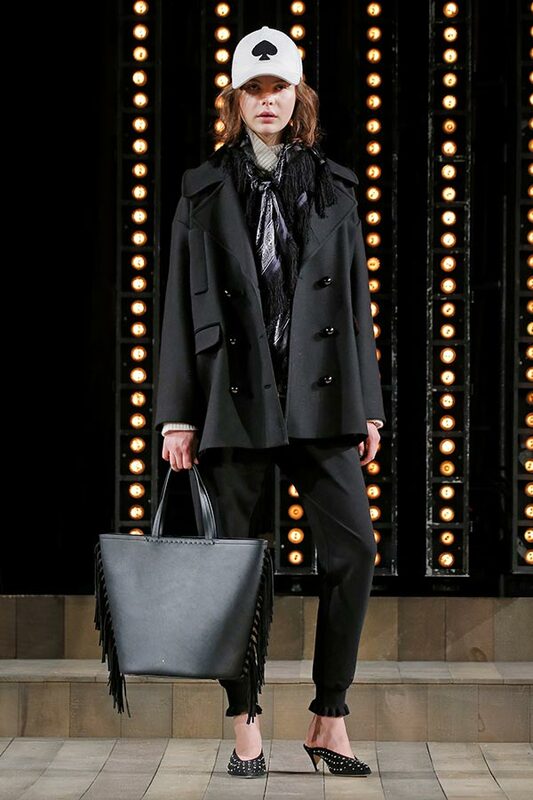 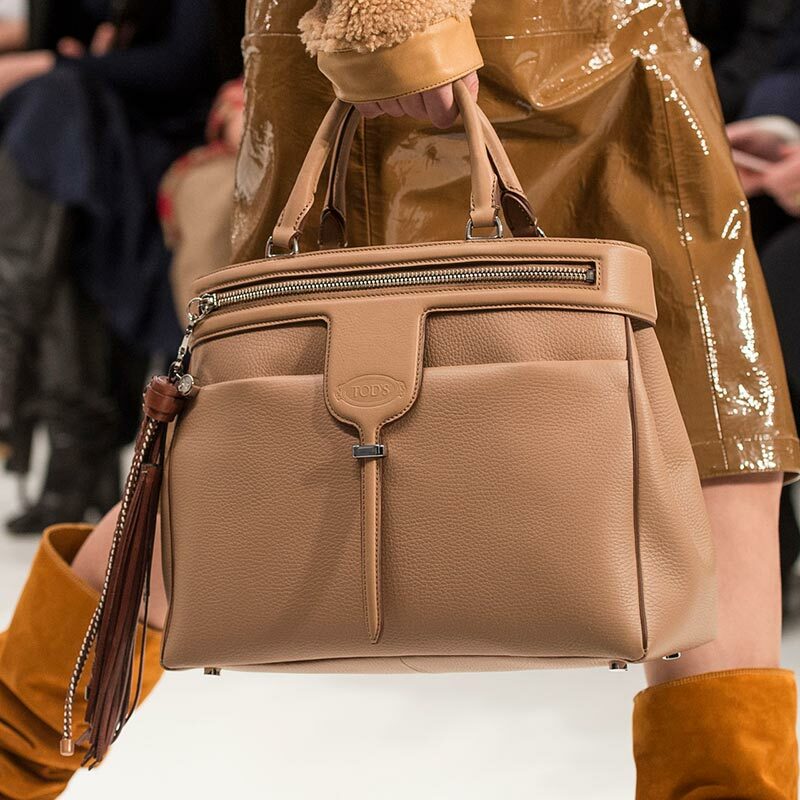 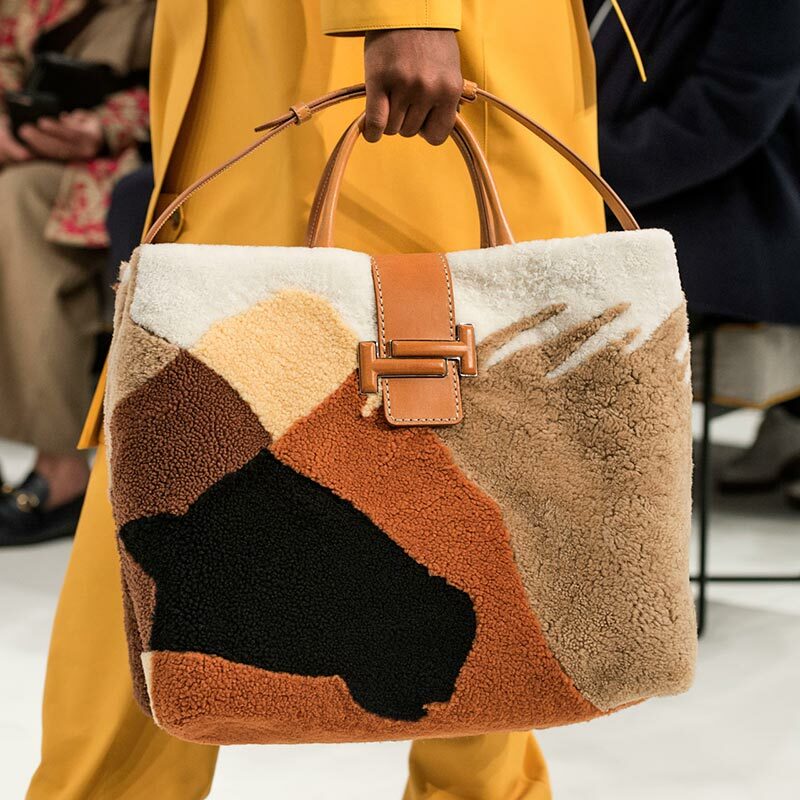 Tod’s Fall 2018 collection follows that idea with a range of shoes and bags made with mixed materials including leather, shearling, pony hair and suede; and finished with embellishments such as pebbles, tassels, and dog charms. 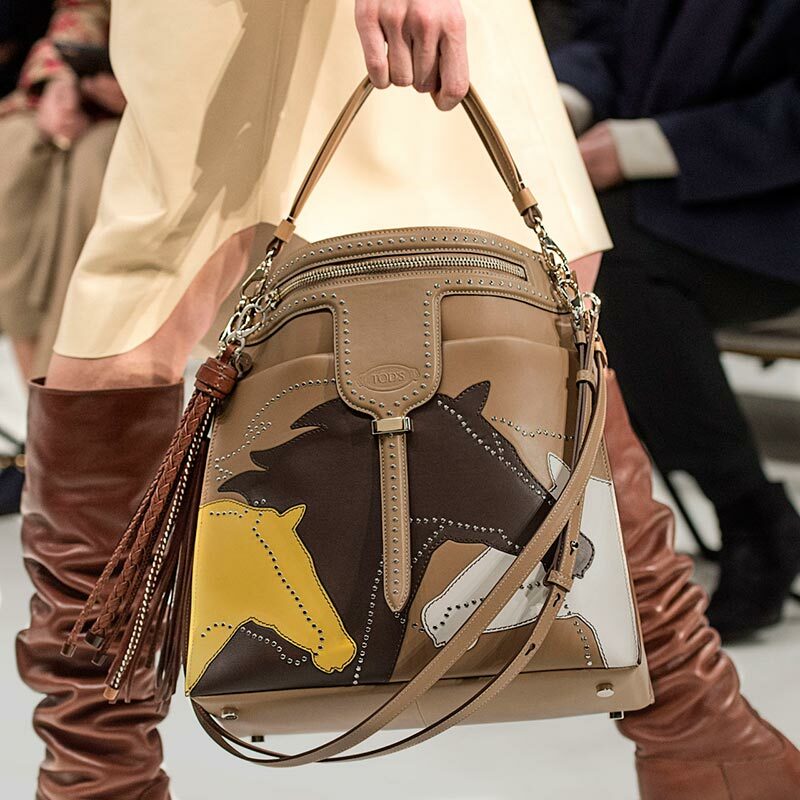 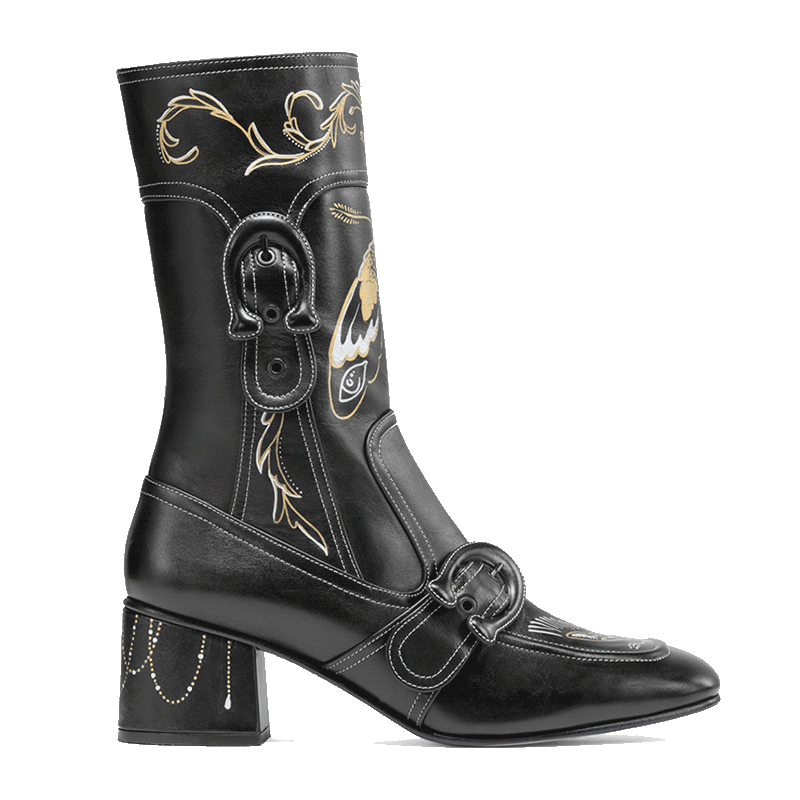 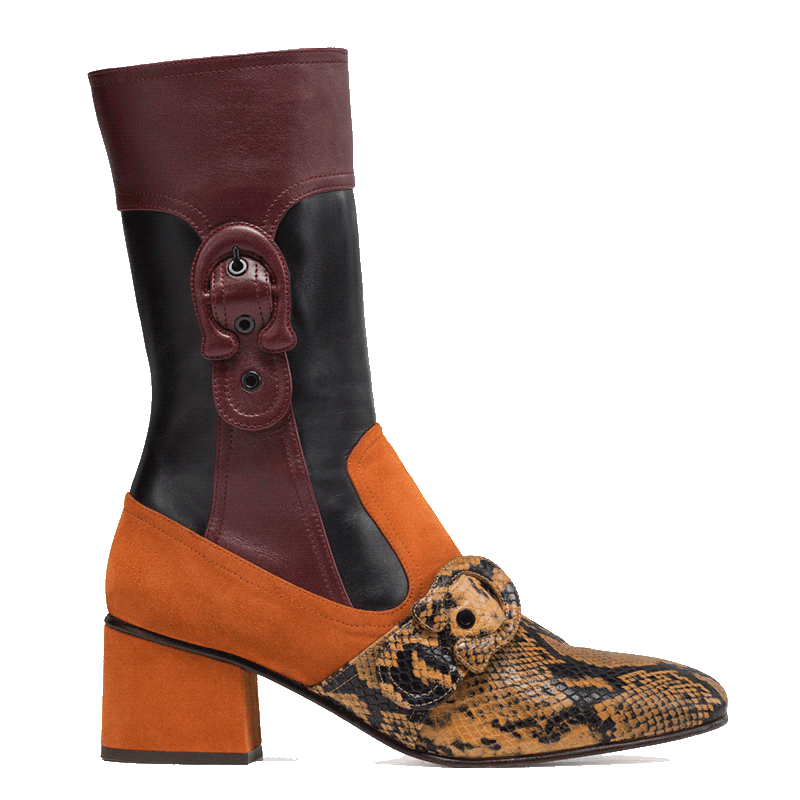 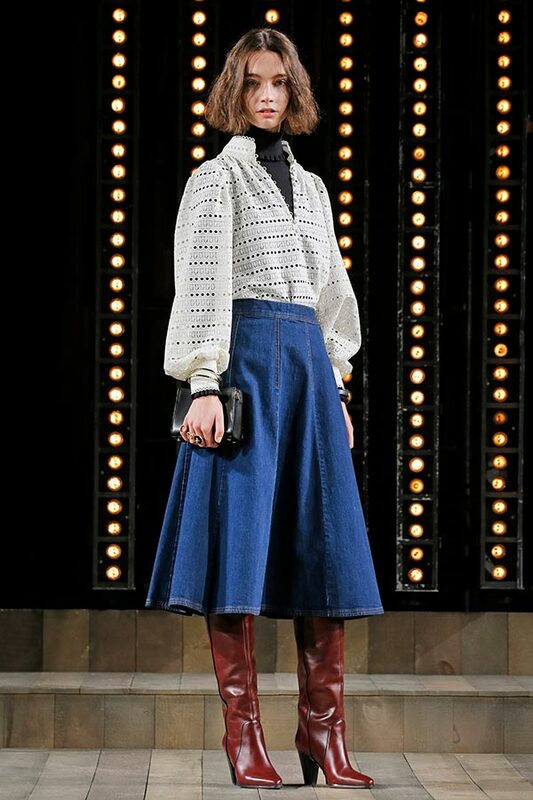 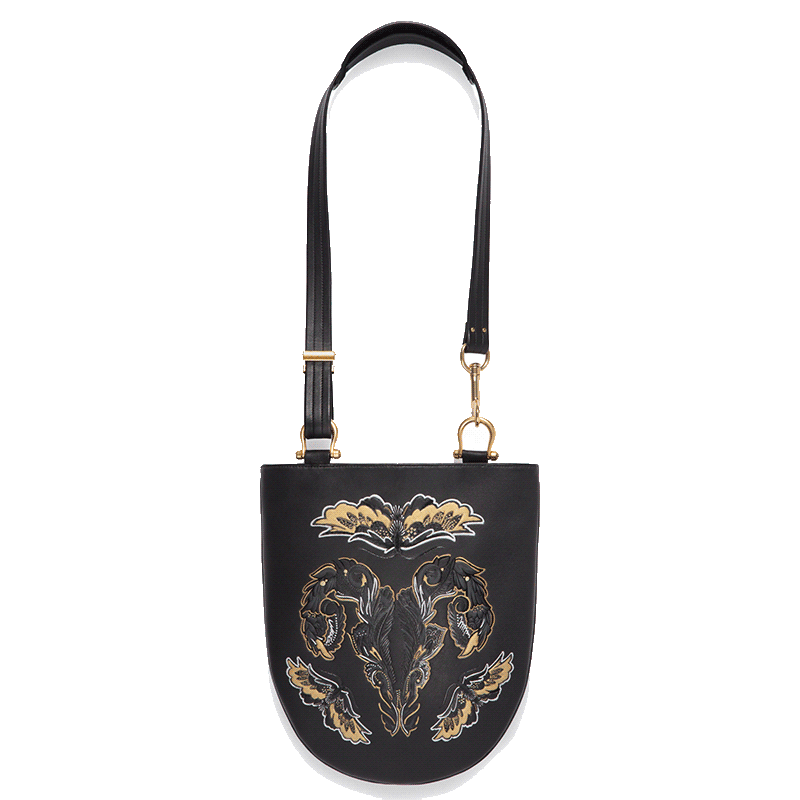 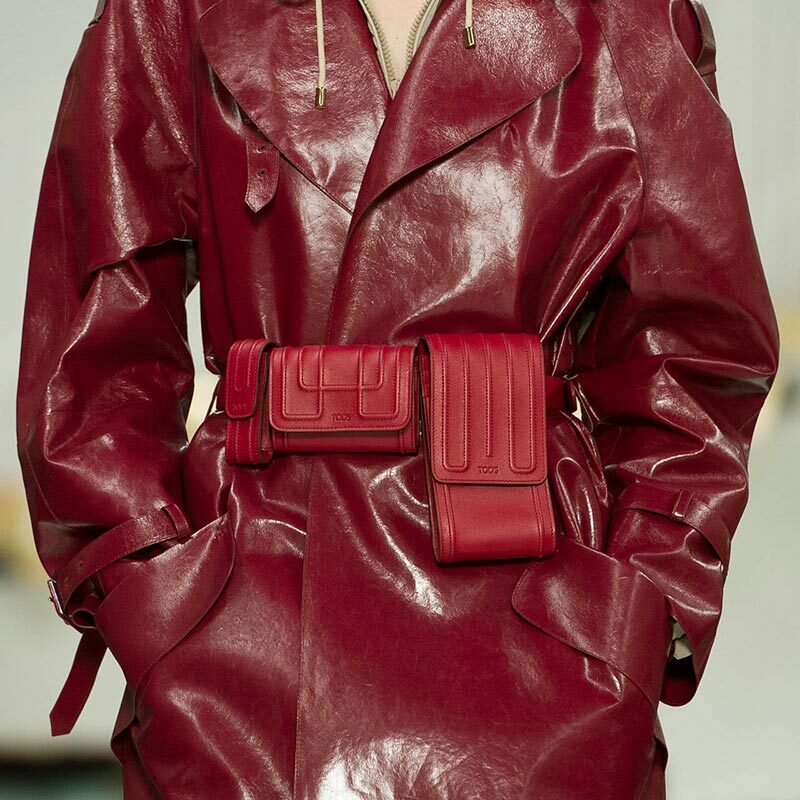 That cowgirl factor is further given by the belt bags featuring multiple pouches (reminiscent of hardy country belts); boots of varying lengths, made more practical with rubber soles; and leather jackets, pants, skirts – everything ready-to-wear.